Today a progressive new partnership in the dairy industry was announced to come into effect on June 3rd, 2019. 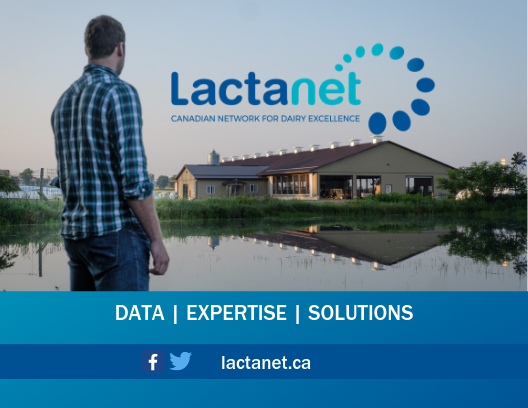 CanWest DHI, Valacta and Canadian Dairy Network will work together at the management of the new organization known as Lactanet Canada. 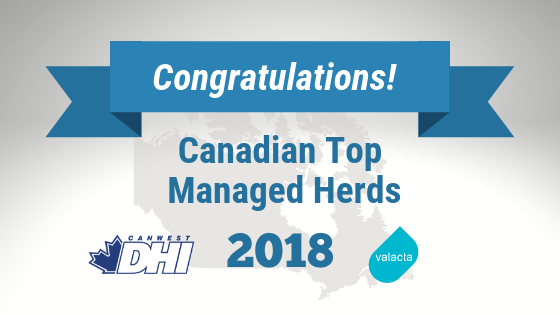 CanWest DHI and Valacta are proud to recognize excellence in dairy herd management by releasing the Canadian top 25 herds based on the 2018 Herd Management Score results. DHI is pleased to present their 2019 Herd Management Conference from January 15-17. This conference will feature keynote speaker Dr. Gerard Cramer who is well-known for his extensive research on lameness and hoof health. CanWest DHI is pleased to announce that Traceability reporting to the national database is now available through DairyComp herd management software. Whether you prefer paper record-keeping or DairyComp software for your herd management needs, DHI has updated our current product offering in order to make Traceability recording and reporting as easy as possible. In response to the ongoing emphasis on daily fat yield per cow, we have updated the Test Day Summary section located at the bottom of the page on your Herd Summary or Herd Monitor reports. CanWest DHI is excited to announce that Mobile DHI is a regional recipient of the 2017 Premier’s Award for Agri-Food Innovation Excellence. Mobile DHI is an App providing dairy producer’s convenient access to their herd data directly from the DHI Cloud. CanWest DHI, Canadian Dairy Network and Valacta are pleased to announce an agreement in principle for a progressive new partnership in the dairy industry. CanWest DHI is pleased to announce the Director election results held recently for Ontario zones 1 and 4, and Alberta as part of the normal rotation of three year terms. Effective September 26, 2017, CanWest DHI has added a new column that displays ‘kg/hl for Fat/Prot’ to the TEST DAY SUMMARY section of the Herd Summary/Herd Monitor Report. No columns of information were removed. The new column was inserted and all others were adjusted accordingly. 20 years have passed since CanWestDHI introduced the DairyComp software suite of products to the Canadian dairy industry. DHI is the exclusive Canadian distributor of the software which is Canadian Quality Milk program approved. Ranked the #1 herd management software in North America, DairyComp has proven to be an excellent choice for producers and advisors alike.